Northwestern California. Should have been visible for good distances. 5.3 Seconds duration, at an apparent slow velocity. Start Azimuth: 304 Degrees True North with Elevation of 36 Degrees. End Azimuth: 322 Degrees True North at an Elevation of apprx. 5 Degrees. This could be a meteorite dropping fireball. More observations or camera captures are necessary for trajectory to be estimated if it was on a steep angle downward. What appeared to be a terminal explosion did not occur. Sentinel camera timed out on this slow fireball. 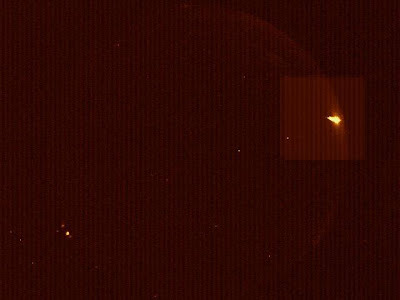 Examination of Handyavi records shows this fireball continued a slow diminishing burn without a terminal detonation. Those avi. records will be added later to website: http://www.geocities.com/stange34@sbcglobal.net/YEAR2.html. About three other small meteors were also recorded in the western portions of the Yuba City, CA sky at different times on 29APR09. Photos & data about this event are on the website. TORONTO, April 29 (UPI) -- Canadians living north and northeast of Toronto are being asked to help search for meteorite fragments from a fireball last month. Small meteorites may have been dropped on southern Ontario by a fireball that streaked through the sky north of Toronto last month. Small meteorites may have been dropped on southern Ontario by a fireball that streaked through the sky north of Toronto. Researchers anxious to recover possible fragments after fireball appeared in March over Newmarket, Ont. Ontario scientists are looking for help in tracking down meteorite fragments they believe fell to Earth last month in an area just south of Lake Simcoe. A chunk of space rock might have found it’s way into your back yard. The Royal Ontario Museum and University of Western Ontario are asking for your assistance in finding a meteorite that fell in the Newmarket area. Is Your Backyard Housing Some Meteor Fragments? If you’re in Newmarket, scientists want you to have a close look at the rocks around your home. In den Morgenstunden des 7. Oktobers 2008 trat der rund vier Meter große Asteroid 2008TC3 in die Erdatmosphäre ein. Bruchstücke stürzten in die nubische Wüste im nördlichen Sudan. Damit wurde er vom Asteroiden zum Meteoriten. Erstmals wurde ein Himmelskörper mit Kollisionskurs auf die Erde beobachtet und bis zu seinem Aufprall verfolgt. Wissenschaftler fanden zwei Monate später Bruchstücke von 2008TC3 nahe einer Eisenbahnlinie, welche die beiden nordsudanesischen Städte Wadi Halfa und Abu Hamad verbindet. Untersuchungen zeigten nun, dass die Gesteinsbrocken einzigartig sind. 2008TC3 gehört zu den so genannten Achondriten, einer seltenen Klasse von Steinmeteoriten, die nur rund acht Prozent aller Meteoriten ausmacht, die auf die Erde fallen. Innerhalb dieser Klasse gehört er wiederum einer Unterart an, von der bisher nur ein einziges Exemplar auf der Erde gefunden wurde. Wissenschaftler suchten nach dem möglichen Herkunftsort von 2008TC3 und fanden einen rund drei Kilometer großen, erdnahen Asteroiden der Klasse F. Noch nie wurden Bruchstücke dieser seltenen Art im Labor untersucht. Almahata Sitta - Bahnstation 6 Im Dezember 2008 suchte der NASA-Astronom und Meteoritenexperte Peter Jenniskens mit 45 anderen Personen in der sudanesischen Wüste nach Überbleibsel des Meteoriten. Nahe der ägyptischen Grenze, bei der Bahnstation Nummer 6 der Eisenbahnlinie zwischen Wadi Halfa und Abu Hamad wurden sie fündig. Insgesamt sammelten sie rund vier Kilogramm Gestein. Der Meteorit trägt nun den Namen seines Fundgebietes. Almahata Sitta, arabisch für Bahnstation 6. Ein Programm zur automatischen Himmelsüberwachung entdeckte 2008TC3 am 6. Oktober 2008. Rund dreizehn Stunden vor dem Aufprall errechneten Wissenschaftler seine Bahn. Aufgrund der geringen Größe des Himmelskörpers, erwarteten Experten, dass er vollständig in der Erdatmosphäre verglühen würde. Wenn nicht, würde er um 4:45 Uhr MESZ im nördlichen Sudan niedergehen. Mit einer Geschwindigkeit von mehr als zwölf Kilometern pro Sekunde raste 2008TC3 durch die irdische Lufthülle, leuchtete hell auf und explodierte in einer Höhe von rund 37 Kilometern. Übrig blieb eine Staubspur, die von Satelliten und vom Erdboden aus fotografiert wurde. 2008TC3 wog zwischen sechzig und hundert Tonnen und setzte eine Energie von etwa einem Zehntel der Hiroshima-Bombe frei, wie die Fachzeitschrift Sterne und Weltraum in ihrer Mai-Ausgabe feststellt. "Sterne und Weltraum", die 1962 gegründete Zeitschrift für Astronomie, berichtet umfassend, anschaulich und informativ über alle Bereiche der Astronomie, der Weltraumforschung und der Amateurastronomie. Fachleute präsentieren allgemeinverständlich die aktuellen Ergebnisse ihrer astronomischen Forschung und beschreiben die Entwicklung neuartiger Instrumente, Observatorien und Messverfahren. Amateurastronomen geben Tipps zum Beobachten interessanter Himmelsobjekte und -phänomene, testen Teleskope und deren reichhaltiges Zubehör und geben dem Sternfreund fundierte Anleitungen zur eigenständigen Erkundung des Sternenhimmels, zur Astrofotografie sowie zum Auswerten ihrer Beobachtungen. Produkte für die Amateurastronomie werden ebenso vorgestellt wie die schönsten Fotos von Galaxien, Sternhaufen und farbenprächtigen Nebeln. Beiträge aus der Astronomiegeschichte und zu Fragen des naturwissenschaftlichen Weltbildes runden das Themenspektrum ab. As he was driving north on Interstate 17 just beyond the Stoneman Lake exit around midnight Saturday, Richard Garcia saw a blazing fireball seemingly pass overhead in the same direction. "She came right over the top of the truck," Garcia said Monday. "The colors were unbelievable. It was unbelievably beautiful. It was ball with a big long streak on it and then it had all these gorgeous colors just radiating out of it." Not much more than an hour earlier, sometime after 10:30 p.m., Gloria Mireles was standing in the parking lot of the Western Hills motel on east Route 66 when she saw a fiery red fireball light up the eastern sky. "It was giving out sparks from the tail," Mireles said Monday. She said she closed her eyes because she thought it was going to hit, but felt no impact. Turns out both Garcia and Mireles and countless others witnessed an unusual event to be sure -- two distinct objects blazed over Flagstaff late Saturday night. 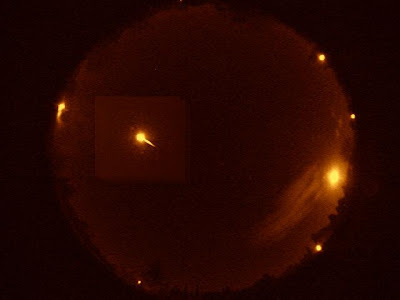 Verifying the event in The Sun Blog, Jeff Hall of Lowell Observatory wrote, "I saw a bright fireball from Mars Hill at about 10:45 p.m. April 25 MST. It was heading NE over Mount Elden in the direction of Sunset Crater, had an extended brilliant glow, and was relatively slow moving. "That, however, appears to have been only one of at least two fireballs, since my neighbor, who is doing search and rescue training, was out NE of Flagstaff sometime after midnight when what seems to be the main event cruised by. "Saturday's fireballs have intrigued meteorite hunters and night sky watchers across the country.Now the question is whether any of the fragments survived impact. Garcia is skeptical the fireball he saw made it to Earth. "It was right over the top of road and I thought it was going to impact the road, so me and this other car that was next to me, we both slowed down because I think he was thinking that same thing I was, that it would probably hit the road," Garcia said. "But I didn't see anything disintegrate. It just appeared that it ran out of energy. "Garcia estimated the fireball to be between 3 and 4 feet in diameter. But Hall notes in his blog entry, "There's no way to know how big the thing is as it zooms by you ... So at this point, any descriptions of the object's size are speculative. "Whether fragments survive depend on how the object enters the atmosphere, according to Hall, but he gives meteorite hunters hope, writing, "It is quite likely, at least, that many small pieces did end up reaching the ground ..."But where to look? It is difficult to pinpoint the actual trajectory of fireballs. Brian Rackham was visiting a friend in Prescott Valley, and they both saw the fireball and were convinced it hit nearby. "It was an amazing thing. Bright white and red fireball with greenish tail," Rackham wrote in an email to the Daily Sun. "We were watching TV, and it was so bright we couldn't help but look to the side out the window as it came down. The whole thing took about two seconds at the most. "Rackham thought initially it was a plane or helicopter crash near the Prescott Airport. Hall cautions in his blog, "Finally, remember that when you see one of these things, it's extremely difficult to gauge altitude or distance by eye. ... Claims of where (or if) an impact might have occurred should be viewed skeptically until fragments turn up. "Saturday night's experience was a close encounter Garcia is unlikely to forget anytime soon. "My parents just passed away in '05 and '06 and being a Catholic I decided to cross myself and thank my parents for sending a good sign," Garcia said. There was a significant fireball last night in the vicinity of Gallup, New Mexico, possibly into eastern Arizona. It was at the edge of my all-sky camera field of view but made a terminal flash possibly full Moon magnitude or brighter. I hope to hear further reports. I posted some movies with two types of radio reception at the time of the meteor. One is 61.250 MHz forward scatter which produced a good radio reflection. The other movie is ELF/VLF reception. It is *not *conclusive but there is an interesting enhancement of noise at a mid-flare point of the meteor ( 3 seconds into the movie). There does not appear to be any noise enhancement at the final large terminal burst however. Hence, this specimen fireball becomes another possible ELF/VLF reception but due to dense coincident sferics it is not absolutely provable. I am still waiting for a big one directly overhead. The search for space rocks continue in Buzzard Coulee at the landing site of the meteorite that flashed across the November sky. “It turns out that meteorites are easier to find with the snow gone (the weather changed dramatically last week), and the Easter weekend has seen a surprising number of recoveries with dozens found by many different people,” said Dr. Alan Hildebrand with the University of Calgary who has a new meteorite search blog. “The stand out was the recovery on Good Friday of another (approximately) 10 kilogram stone. Some of the meteorites found were showing signs of rust from sitting out in the field. Hildebrand has set up a heated base camp at the site, which includes water, electricity and wireless Internet for people who volunteer their time to help search. “One of the most fun things about searching (aside from finding a meteorite oneself) is seeing ‘new’ people make their first meteorite find,” said Hildebrand. “(On Saturday) four different people who were volunteering in our search teams had that experience. Hildebrand hopes to solve the mystery of how the meteorites broke up by finding pieces that fit together. “Lots of other people have collected meteorites and taken them away, so we may have to organize a ‘Pairing Party’ in the summer or fall, so we can get as many broken pieces as we can together to look for ‘mates’,” said Hildebrand. Local resident Terry Chaisson described his experience as a volunteer searcher on his blog. Chaisson said some of the other volunteers traveled from as far away as Ontario. Chaisson found a fragment of the meteorite on a morning when only one piece was found. That was the stark conclusion drawn by Ulster folk who witnessed an extraordinary happening over the skies of Northern Ireland 40 years ago today. On 25 April 1969 the sky literally fell in on the Province and only a select few caught a glimpse of the out-of-this-world occurance. While many mistook the glowing fireball as a shooting star, it was actually a meteorite from outer space which left its mark on two separate locations. Solid pieces of rock fell from the sky and made an impact at a police barracks at Sprucefield and in a field near Garvagh. A piece of stone shattered through an asbestos roof at the then RUC facility on the Ravernet Road - now the base of the Historical Enquiries Team - landing on a desk in a storeroom. The second fragment, caused a huge dent in a field in Co Londonderry. It became known as the Bovedy meteorite due to the area where it landed. Dr Mike Simms, from the Ulster Museum, is the proud owner of a cast of the Bovedy meteorite. The main mass of the rock is currently on display at Armagh Planetarium. The geologist confirmed the meteorite, which is a rare phenomenon, passed over the Province before landing in the Atlantic. "It (the meteorite) was seen as far south as Dorset in England before passing over north Wales," he said. "There were sightings from Aldergrove airport and people could see it going over and bits breaking off. It was last seen heading north over the tip of Inishowen and probably the main chunk fell in the drink somewhere north of Donegal." Dr Simms revealed that one Ulster woman, who was recording bird songs at the time of the object passing overhead, actually captured the associated sounds. "I've spoken to a lot of people over the years who actually heard it (the meteorite) or saw it. People heard a sonic boom sound – a bit like what Concorde used to make. "People who were outside would have actually seen the fireball come down because it wasn't just like your normal shooting star – it was something as bright as a full moon." In a report published in the Nature Magazine in July 1969, Ian G. Meighan, from the department of Geology at Queen's University and Philip S. Doughty, from the Department of Natural Sciences at the Ulster Museum, gave a detailed account of the grounded fragments. On the Sprucefield rock, it recalled: "On the concrete floor, among fragments of the roof a stone object was found broken into two pieces. Weighing 283g and 230g. The meteorite resembles a angular block with a tapered base, has a complete brownish black fusion crust, but no "thumb marking" on the surface." In relation to Bovedy, the report read: "On the following Monday at about 2pm a small impact crater, depth 14.5 inches, was discovered in a field used as open grazing, and a stone recovered. The specimen was broken open by local people and some small fragments carried away. When examined the following day no scorching of the grass or roots around and in the hole, and angle of fall was estimated between 30 and 50 degrees from the horizontal." Dr Simms confirmed the meteorite stemmed from an asteroid belt between the orbits of Mars and Jupiter. He believes a collision sent it off course and it happened to cross Earth's orbit "at the wrong time". The academic, who has developed a personal interest in the outer-space objects, admitted meteorite falls remain "pretty rare events". "One could land in your garden this afternoon, it is likely to do that as it would land in the Antarctic or wherever," he said. "This particular meteorite was the last to fall and actually be recovered in Northern Ireland although it is estimated three to four of a walnut size actually land in here every year. "There is a lot of vegetation to lose them in and once they have been on the ground for a while they just look like any other stone. "It is estimated there is one meteorite per square kilometre, per ten thousand years so they are not very common," he added. The last recorded meteorite on the island of Ireland was reported in Co Carlow in 1999. Dr Simms is marking the 40th anniversary of the Sprucefield and Bovedy meteorites by hosting a series of talks next week to celebrate the event. The expert will be sharing his experiences in Bangor, Garvagh and Lisburn. Entry to the three seminars is free of charge. Did you witness the 1969 meteorite? Something Streaked Through The Morning Sky Monday, But What Was It? WACO (April 20, 2009)--Residents from Waco to Madison County reported seeing a flaming object streaking through the western Central Texas sky Monday morning, but there is no confirmation yet what the object may have been. “It came into view at the top left of my windshield coming down at about a 45 degree angle. It was bright white with a tail behind it. It was about a fist to 1 ½ fists above the horizon and to the right of my windshield when it flashed out very suddenly,” she said in an e-mail to News 10. “It probably lasted about a second. My first thought was a shooting star but much closer than usual. It was much larger than usual shooting stars,” she said. Calls and emails continue to come into News 3 about a mysterious "fireball" in the sky around 6:30 Monday Morning . Witnesses to the flaming object have contacted us from across the Brazos Valley. All describe it falling in the Western Sky. One viewer said she saw it above the Kroger in College Station. Another viewer said she saw it as she was driving on Wellborn Road in College Station. We also received an email from another viewer who saw it in Madison County. Another person driving from Houston to Waco says she saw it just above the horizon and says the flame only lasted a few seconds. News 3 continues to call to find out what exactly the fireball was or was not. Monday, April 20 2:00 p.m.
Posted by Lunar Meteorite * Hunter at 6:26 am Labels: mysterious boom, Vancouver 17APR09 bolide? 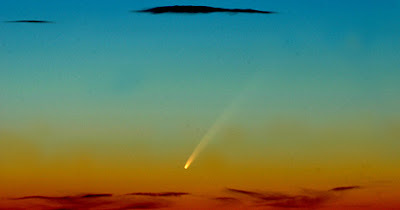 Earth is entering a stream of debris from Comet Thatcher, the source of the annual Lyrid meteor shower. Forecasters expect the shower to peak on Wednesday, April 22nd, with a display of 10 to 20 meteors per hour over the northern hemisphere. Occasionally, Earth passes through a dense region of the comet's tail and rates surge five- to ten-fold. In 1982, for instance, observers were surprised by an outburst of 90 Lyrids per hour. Because Thatcher's tail has never been mapped in detail, the outbursts are unpredictable and could happen again at any time. The best time to look, no matter where you live, is during the dark hours before dawn on Wednesday morning April 22nd. Visit http://spaceweather.com for full coverage. LUNAR OCCULTATION OF VENUS: Even if the Lyrids fizzle, there is still something wonderful to see on Wednesday morning, April 22nd. The crescent Moon and Venus are going to have a close encounter of jaw-dropping beauty. Look low and to the east just before sunrise. Observers in western parts of North America will see a lunar occultation: Venus will disappear behind the Moon's limb just after 5 am PDT and reappear again an hour or so later. WISE — A cosmic visitor created a brief spectacle over the pre-dawn Wise County skies Friday. Maskelynite: Maskelynite mineral information and data. Ein Meteorit hat, wie berichtet, in der Nacht zum Donnerstag für viel Aufregung gesorgt. Jetzt hat sich bei der "Krone" ein Augenzeuge aus dem Kärntner Mölltal gemeldet: "Der Meteorit flog bei meinem Fenster vorbei!" Fachleute vom Planetarium in Klagenfurt halten das durchaus für möglich. Und sie bitten um Meldungen, um die Flugbahn des Eindringlings aus dem All bestimmen zu können. "Ein Grollen", "ein grelles Licht" - so beschrieben zahlreiche Kärntner das Phänomen. In St. Veit, Feldkirchen, Klagenfurt, im Seental Keutschach, ja sogar in Spittal war es aufgetreten. "Flog an meinem Fenster vorbei"
Jetzt hat sich ein weiterer Augenzeuge aus dem Mölltal gemeldet; er hat nicht nur das Licht, sondern den Meteoriten gesehen. "Er flog an meinem Fenster vorbei! Ich hab mich nicht getäuscht; ich war nämlich hellwach und hab die Nachrichten gehört." Fachleute aus dem Planetarium halten das durchaus für möglich. Kurt Anetzhuber: "Der Meteorit könnte so groß wie ein Fußball sein oder sogar noch größer und trotzdem irgendwo unbemerkt aufgeschlagen sein." Um das herauszufinden, braucht er Informationen. "Wenn man nämlich die Sichtungen zeitmäßig vergleicht, könnte man die Flugbahn berechnen. Es wäre nämlich schön, auch in Kärnten einmal einen Meteoriten zu finden. Es gibt noch keinen." Meldungen bitte ans Planetarium unter 0463/21700-32. Wien - Ein internationales Forscherteam möchte anhand eines Kratersees im Nordosten Sibiriens die Klimageschichte des hohen Nordens mit bisher ungeahnter Genauigkeit nachzeichnen. Die Arbeiten des International Continental Scientific Drilling Program (ICDP) am Elgygytgyn-See haben begonnen, die Auswertung der Bohrkerne laufen unter österreichischer Leitung. Christian Köberl, international renommierter Impakt-Forscher der Uni Wien, hat die Aufgabe übernommen. Dass sich die Wissenschafter ausgerechnet diesen See ausgesucht haben, ist kein Zufall. "Der See wurde vor rund 3,6 Millionen Jahren durch einen Meteoriteneinschlag verursacht und ist deswegen sehr tief", erklärt Köberl. Eine maximale Tiefe von 170 Metern wurde ermittelt, das sorgt dafür, dass das Gewässer nie komplett durchfriert. So ist die Klimageschichte, welche die Forscher anhand der Sedimentschichten ablesen wollen, lückenlos erhalten. Nicht zuletzt wollen die Wissenschafter klären, wie die Arktis auf Erwärmung und Abkühlung reagiert. Erste Bohrungen haben ergeben, dass die vom See abgelagerten Schichten wenigstens seit rund einer Million Jahren ungestört sind. Das entspricht einer Sedimentschicht von rund 100 Metern. "Darunter findet sich Sand, das weist darauf hin, dass der See zu dieser Zeit ausgetrocknet war", so Köberl. Die genaueren Umstände müssen allerdings erst geklärt werden. Insgesamt sind die Sedimente rund 300 Meter mächtig. Als Impakt-Forscher interessiert Köberl aber auch das, was sich unter den See-Sedimenten befindet, nämlich die Zeugnisse des Einschlags. Der Meteorit hat nämlich vor 3,6 Millionen Jahren in Vulkangestein eingeschlagen. Unter den See-Sedimenten erhofft sich der Wiener Forscher daher die durch den Einschlagsschock gezeichneten Gesteine zu finden. Letztendlich sollen daraus die freigesetzten Energien und die Größe des kosmischen Bröckerls errechnet werden. A piece of footage got national attention, and last night, it got News 8 photojournalist Eddie Garcia an award at a star-studded evening. Parts of the meteorite were found scattered around Texas. MENLOW – The biggest piece discovered from the Feb. 15 meteor that broke apart near West now sits in a meteorite museum in Kansas, its owner happy to have acquired the space rock as well as the trust of the Hill County couple who found it and sold it to him. Hundreds of Carinthians were left terrified thinking they had been hit by an earthquake after a meteorite exploded over their homes early yesterday (Thurs, 9APR09). Locals said the meteorite exploded at about 3AM with what sounded like an enormous thunder clap followed by rumbling and howling. Hans Handler from Velden told the newspaper Österreich yesterday: "I though it was either an earthquake or a crashing airplane. "Experts at an observatory at Gerlitzen near Villach said the meteorite had reached a temperature of more than 1,000 degrees Celsius after entering the earth’s atmosphere. They added the bang it had caused had been heard over a wide area of the province. Hermann Mucke, the long-time chief of an astronomical office in Vienna, told the newspaper: "The meteorite produced a glow of an electric nature. Most such meteorites are detected at altitudes ranging from 80 to 120 kilometres." Mucke added, however, that it would be impossible to prove that the phenomenon had been a meteorite. He said there was only one so-called "fireball" camera in Austria, which was located in the Waldviertel far from Carinthia, and so there were no photos of what had lit up the Carinthian sky yesterday morning. A micrometeorite found in Antarctica was shed from rock formations like this one. They look too regular to be natural. Is this tiny space rock part of an ancient alien castle? Nope - it's just a tiny chunk of basalt. A "unique" micrometeorite found in Antarctica is challenging ideas about how planets can form.Detailed analysis has shown that the sample, known as MM40, has a chemical composition unlike any other fragment of fallen space rock. This, say experts, raises questions about where it originated in the Solar System and how it was created. It also means that astrochemists must expand their list of the combinations of materials in planetary crusts. The detailed analysis of MM04 was led by Matthieu Gounelle from the Laboratory of Mineralogy and Cosmochemistry at the French Natural History Museum. Published in PNAS, the analysis revealed the "unique" chemical composition of MM04 despite it being only 150 microns across as its widest point - about half the width of a written full stop. Micrometeorites are often seen as the 'poor man's space probe' Dr Caroline Smith, Natural History Museum Dr Caroline Smith, curator of meteorites at the Natural History Museum, London,UK, said the sample was important because of the role that the study of meteorites played in our understanding of Solar System and planetary formation. MM04 was a basaltic achondritic micrometeorite, said Dr Smith. Achondritic meteorites were formed when the Solar System's planets were coming into being. 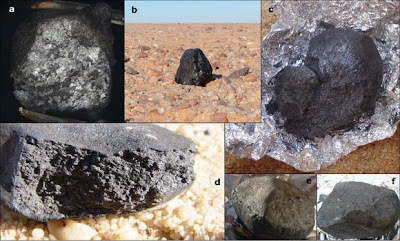 The substances in such meteorites and the processes they have undergone can give clues about how the larger bodies were formed. By contrast, chondritic meteorites were formed during the the Solar System's early days before material had accreted into planets. They have not been altered by the melting and re-crystalisation that has utterly transformed the nature of, say, Earth rocks. Dr Mahesh Anand, an astrochemist from the department of Earth & Environmental Sciences at the Open University, said: "It is fascinating as to how much information can be retrieved about the processes involved in planetary formation from tiny fragments of extra-terrestrial material that routinely arrive on Earth anonymously. "For Dr Smith, the excitement of MM04 lay in the mystery of its origins. 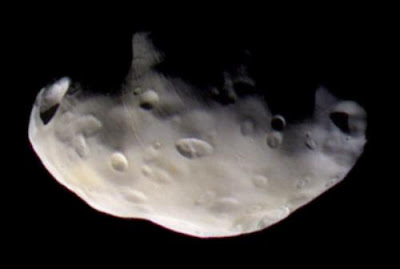 "We have basaltic meteorites that are thought to come from an asteroid called 4Vesta and we also have basaltic meteorites from the Moon and Mars," said Dr Smith. "But [MM04's] chemistry does not match any of those places," she said. "It has to be from somewhere else. "While its ultimate origins are a mystery it does have implications for the ways that astrochemists thought planets could be formed. The analysis of MM04 showed that the "inventory" of such processes must be expanded, said Dr Smith. "Micrometeorites are often seen as the 'poor man's space probe'," said Dr Smith "They land on Earth fortuitously and we do not have to spend millions of dollars or euros on a robotic mission to get them." The commute to work got a little bit brighter yesterday when a multi-coloured fireball streaked across the Calgary sky and exploded like fireworks. Patricia Larson was driving to work with her husband on 12 Ave. 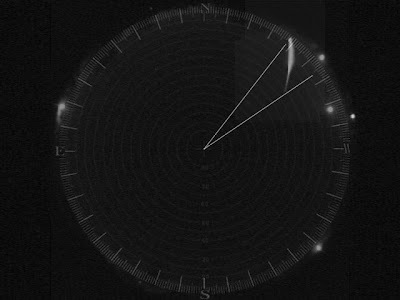 S.W., about 6:30 a.m., when she saw a bright blue-green light smear in a north-south direction and then break apart into fragments after about 20 seconds. "It was so bright, a very cool colour -- I haven't seen one that bright and not that big," she said. Martin Lewanzick was driving on Glenmore Tr., at 84 St. S.E., about the same time when he saw the fireball that he described as white and blue in colour explode before his eyes. "It was really low in the sky, it was really wild -- it looked like a welder's torch," he said. "It blew up right in front of me and broke into a million pieces and fizzled." Alan Hildebrand, a University of Calgary planetary scientist and co-ordinator of the Canadian Fireball Reporting Centre, said he will review photos and talk to witnesses to determine if the space rock left behind any meteorites. The show was also seen in Edmonton, Red Deer and Regina areas. happened over west central New Mexico, March 28, 2009 at 0919UT ( 3:19 am MDT). 5,297 readers from more than 80 countries since Feb 2009. If you have some meteor/meteorite-related news to report please let us know. Thank you also for your comments.